3. Stir in eggnog and coffee into pan. Heat until warm, usually 3 minutes. 4. 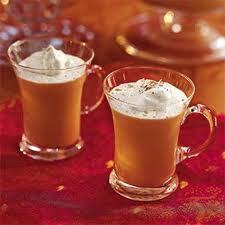 Pour into four mugs and top each with Cool Whip and sprinkle with nutmeg. Serve immediately. 5. Enjoy! Sure to be the star of your holiday party this year!